GlobalCAD | Paving the Way for ICT Growth through Business Incubation in Tanzania. 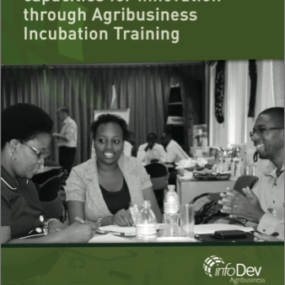 Paving the Way for ICT Growth through Business Incubation in Tanzania. The Outcome Assessment was produced by the Center of Partnerships for Development (CAD) and commissioned by infoDev, a global partnership program with the World Bank. 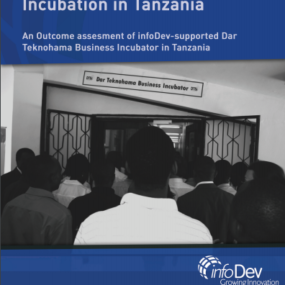 The report features an analysis of the outcomes of the Dar Teknohama Business Incubator (DTBi) in Tanzania, one of the projects under the Creating Sustainable Businesses in the Knowledge Economy (CSBKE) program, funded by the Government of Finland in partnership with Nokia. 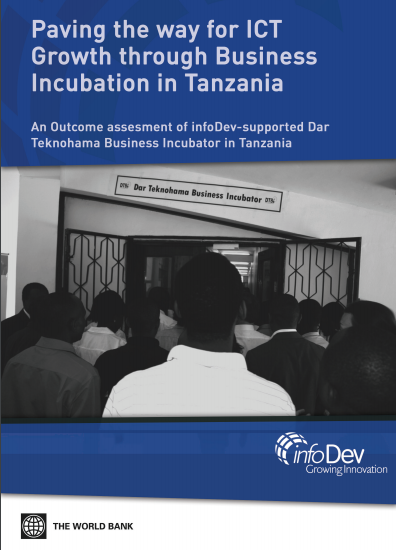 The report analyzes the outcomes generated by the DTBi Incubator in Tanzania nearly two years after its establishment and explains the drivers. This includes the analysis of the economic and socioeconomic effects generated by the companies supported by DTBi (the incubatees or “clients” of the DTBi), the developmental impact of their products and services, and the effects of DTBi on the ICT entrepreneurial ecosystem in the country.